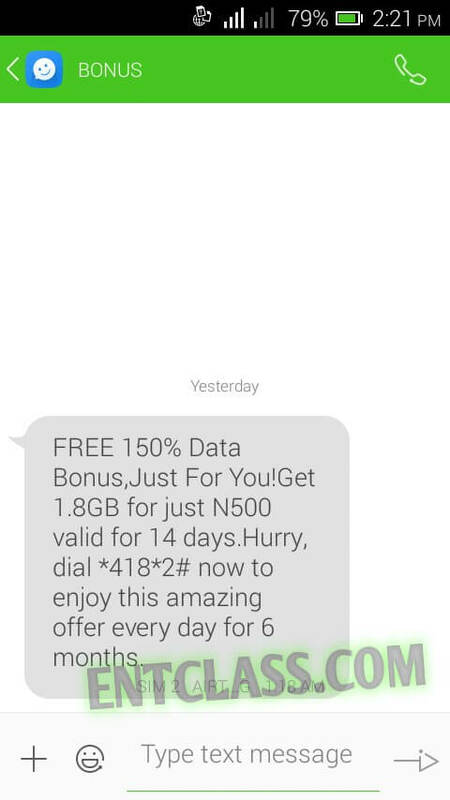 Hope you guys are still flexing with MTN 100% double data bonus? Although, getting a valid IMEI number is the problem we are currently facing. Recall, there's also an ongoing Airtel double data bonus. I guess, many of us have forgotten about this offer. 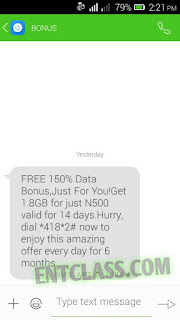 If unfortunately you didn't receive the sms for 150% data bonus, don't panic, there's also 100% double data bonus. See how to activate it Here. A commenter of this Blog named Barnabas just activated the #1000 for 3.75GB. Thanks to him for providing the code above. Were you eligible? Which plan were you eligible for? Please do let me know in the comment box below. Don't forget to share this post. Thanks man. I've just updated the post. Etisalat with tweakware is not working again. Just downloaded it. I will try it soon. Yea, for the next 6 months. Is it normal data or it takes more data than necessary when browsing? Nice Idea, thanks for the post.